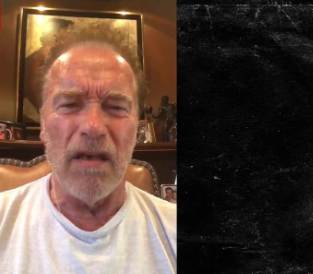 Arnold Schwarzenegger's anger is real and he got no chil for President Donald Trump at all......in fact, he just called the old man a "Fan Boy", now for selling out the U.S Intelligence Community in front of the whole world. "45's joint news conference with the Russian President is an embarrassment because he "stood there like a little wet noodle ... like a little fanboy." Arnold Schwartz then advices that Donald Trump should find a solution on time and grow a Reagan-esque backbone. 0 Comment to "Donald Trump, a 'Fan boy'- Arnold Schwarzenegger "